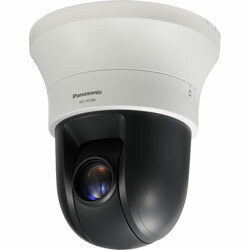 Lens: 36x optical zoom with 12x digital zoome enabling 432x zoom. 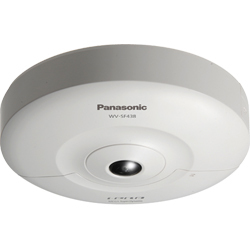 72x extra optical zoom at VGA resolution with 12x digital zoom enabling 864x zoom. 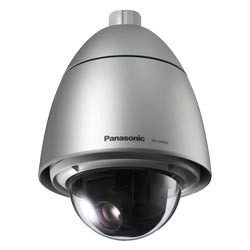 Panasonic’s i-PRO SmartHD WV-SW396 is a weather-resistant, dome network pan-tilt-zoom (PTZ) camera that combines full-frame 1,280×960 H.264 images, Mega Super Dynamic image processing and 36x optical zoom. 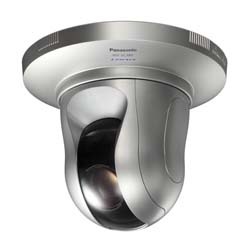 Suitable for high-end applications such as casinos, airports, transportation and correctional facilities, this dome camera provides 720p High Definition (HD) images (1280×720 pixels) at 30 frames per second (fps) in addition to features such as auto-tracking, smooth PTZ control with 360-degree endless panning, and face detection.